1905 Vauxhall 7-9 h.p 3-Cyl. side valve engine 1435 cc. Alexander Wilson set up as a maker of small marine engines & pumps on South bank of the Thames near Vauxhall Iron Works. He adopted as the company crest, a Wyvern, of Fulk le Brent, a successful soldier of fortune in the time of King John, who had lived close to Wilsons factory site. Wilson did very well for nearly 40 years, then retired, although he still practised as a consultant engineer. Around 1896 F.W. Hodges who had worked under Wilson thought there were possibilities in road transport and experimented with various engines and small cars. In 1902 Hodges, joined by J.H. Chambers built a single cylinder light car so satisfactory it was put into production in 1903. At the 1905 Motor Show Vauxhall exhibited the 3-cyl, 7-9hp model at £375 including lamps and all accessories - these were rarely included in the price by other makers. Also in 1905 finding expansion impossible Vauxhall moved to Luton. By a fantastic coincidence, Luton was the original home of Fulk le Brent! So the Wyvern was still appropriate. Another event of paramount importance was the addition to the staff of Lawrence Pomeroy Snr. 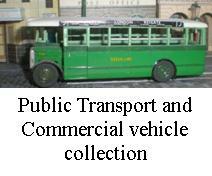 Several manufacturers produced motor cabs but the first petrol cabs to ply for hire in London were Rationals, designed and built by Cockshoot & Co. Other firms such as Argyll, Belsize and Humber after building a few cabs found their car business in need of all the manufacturing space available and no cab company was prepared to place a large enough order to make cab production viable. One of the oddest vehicles came from Vauxhall; a 1904 two cylinder motor hansom with driver’s controls and seat out-rigged at the back of the roof. You shudder to think of the number of corners and connections the steering and other controls had to go round before performing their function. The design was suggested by the Earl of Ranfurley…..it never caught on….. and fortunately none ever plied for hire in London. Surprisingly though, Police in some other cities did certify this sort of cab built on chassis of other Marques. 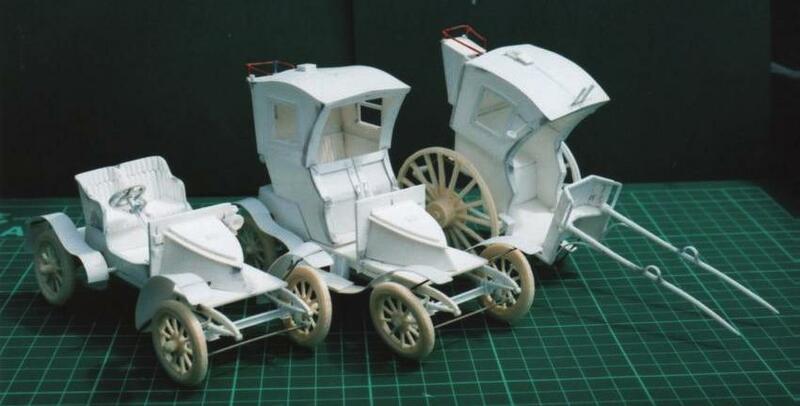 This set of three models was scratch built together around 2008 enabling all common and interchangeable parts to be made at the same time. Working in this way keeps all these parts to the same dimensions and enhances the look of being from the same factory. 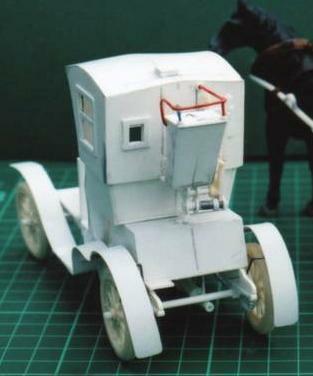 The cab sections of the Hansom and the motor cab are the same, as is the chassis of the motor cab and the 1905 3cyl car. All are spray painted with Halfords car paints. The front tube style radiator was common place up to this point but ‘Honeycomb’ radiators were already starting to take over.